Beckhoff, a brand represented by Bresimar Automação, S.A. in Portugal, has just launched the IPC C6015, a model of the most compact range of industrial PCs on the market and with an excellent value for money. 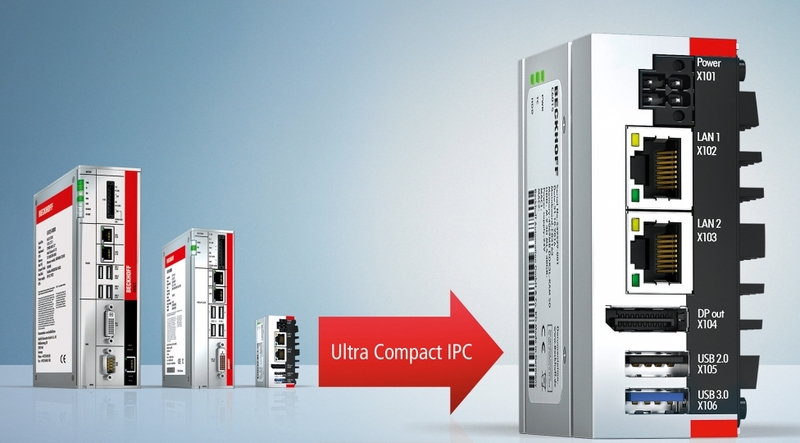 The new C6015 industrial PC is designed for universal use in automation, visualisation and communication tasks, as well as for EtherCAT-based applications. It is an affordable and compact solution with no space constraints thanks to its small dimensions (82 x 82 x 40 mm) and ease of installation. This model offers all the features of an industrial PC, such as: wide temperature range, EtherCAT communication and high resistance to vibration and impacts. The C6015 comes equipped with an Intel® Atom ™ processor, with 1 to 4 colours, an excellent performance reserve and greater long-term availability due to the installation of embedded line processors. At a physical level, this PC comes equipped with a robust motherboard and shell, constructed using aluminium and zinc die-cast. Although compact, with passive cooling, the new C6015 is prepared to work in industrial environments with temperatures up to +55°C. For more information about this solution, please contact our sales service department our sales service department or the Beckhoff brand manager.